Staying safe in your vehicle is important and, when you choose to take the wheel of the 2017 Kia Forte, you’ll find it comes with a host of standard and available safety features to keep you well out of harms way. For example, the Kia Forte offers available Lane Keep Assist technology so you don’t sway out of your lane. Some of the main rivals, however, don’t offer this. Take a look at it in action below and see how the Kia Forte has no trouble painting within the lines. 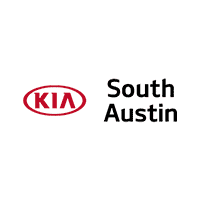 When you’re ready to take a closer look at the 2017 Kia Forte or anything else in our wide selection of new Kia models, make our Austin, TX dealership your next stop on the road to a better ride. We hope to see you soon, show you around, answer your questions, and help you find the driving satisfaction you deserve.